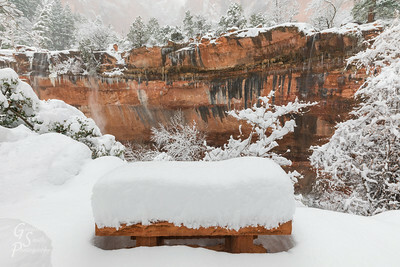 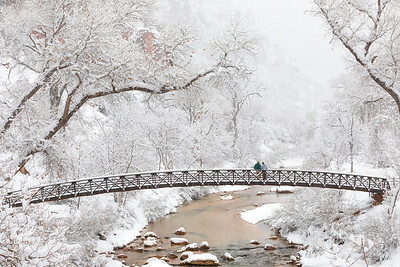 Contemplation Couple: a couple stop on the bridge in the middle of a snowstorm deep in Zion Canyon. 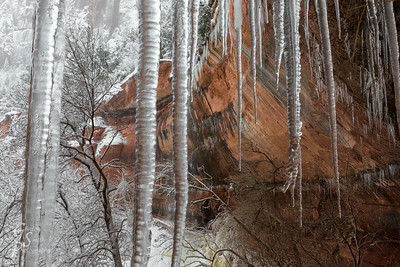 Icicles Hanging in Zion Grotto: where ever a drip would happen in summertime, an icicle appears in winter. 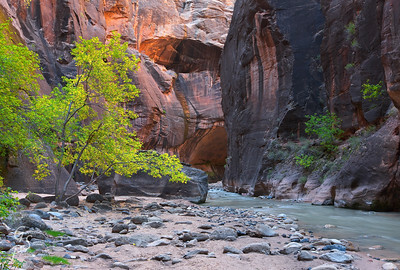 The Lovely Wall: pretty trees, ferns and grasses grow along the banks in this slot canyon. 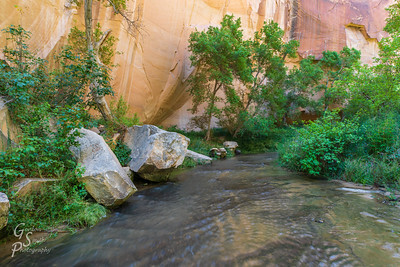 Death Hollow is a gorgeous trip. 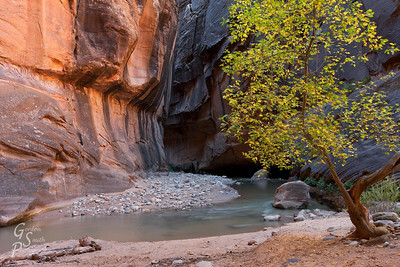 Serene Canyon: a peaceful section of Death Hollow. 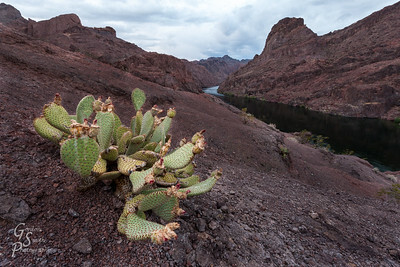 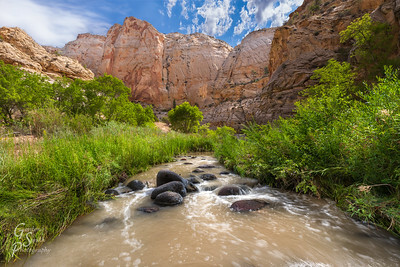 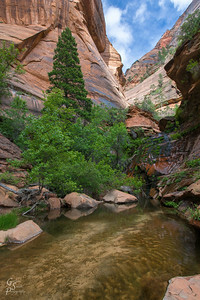 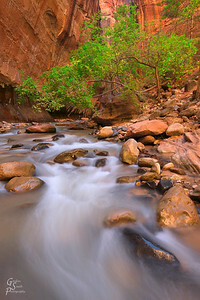 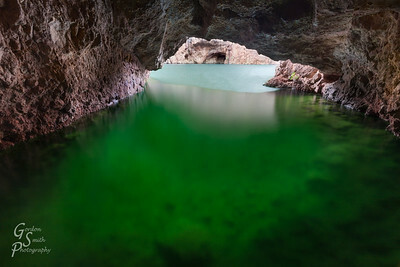 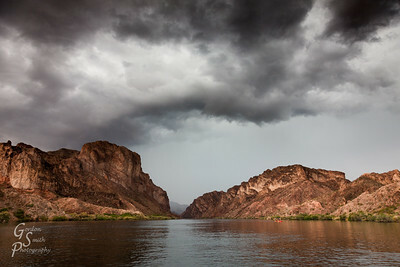 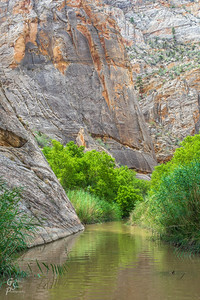 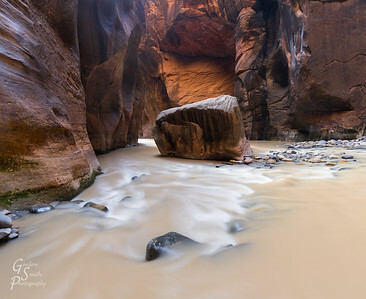 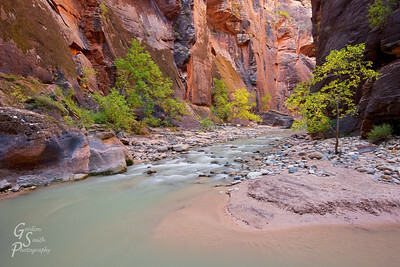 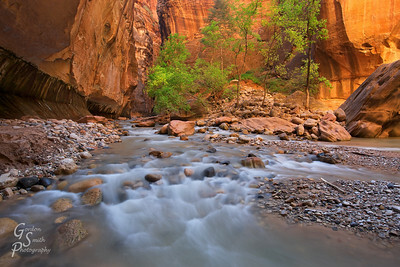 A Splendid Canyon: Death Hollow slot canyon offers a little bit of everything including this wonderful creekside view. 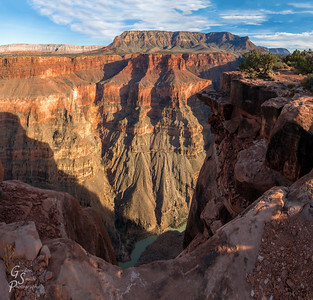 Rock with a View overlooking the Grand Canyon from Toroweap. 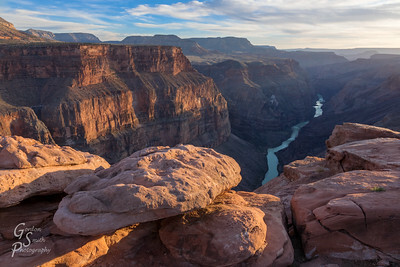 Looking Over a Billion Years: gazing into the Grand Canyon involves looking down but also looking back into the past of the Earth. 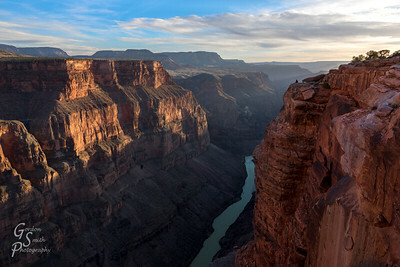 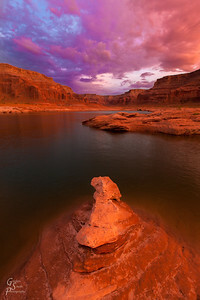 A lone woman sits at Toroweap gazing down at sunset. 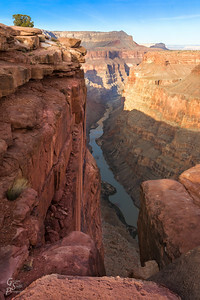 Toroweap Classic View upsteam as the Colorado River bends its' way deeper into the Grand Canyon. 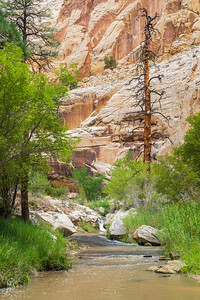 Virgin River Through the Trees in the main canyon of Zion. 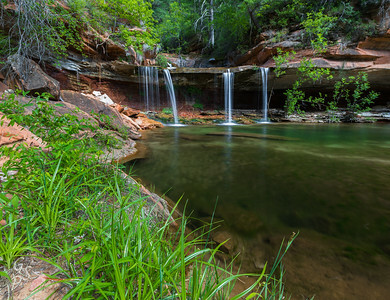 Behind Double Falls in Zion Right Fork. 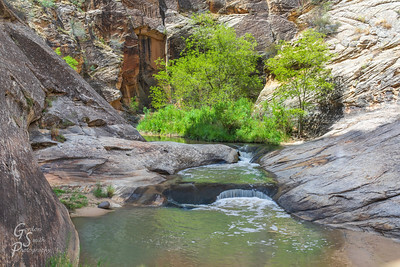 My hiking/life companion sits on a rock on the far side of the pool. 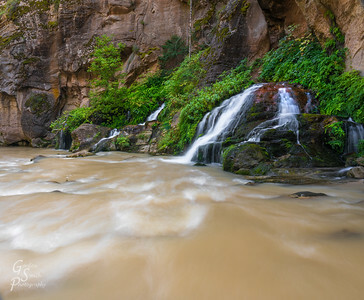 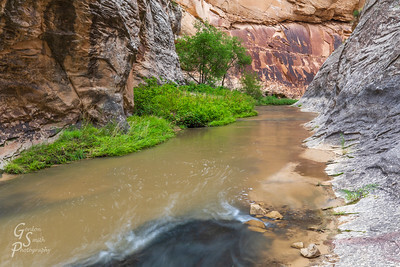 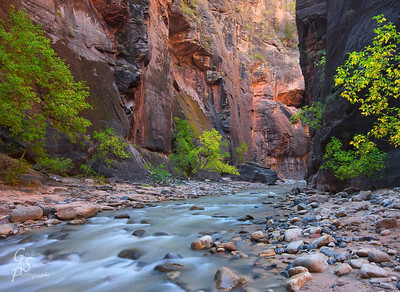 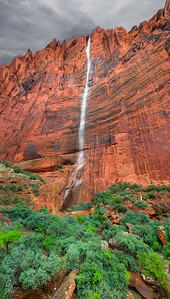 Zion Double Falls in Spring with all the new green growth and plenty of high water. 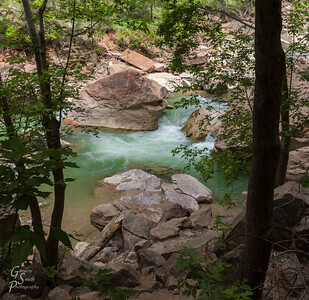 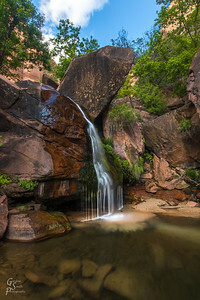 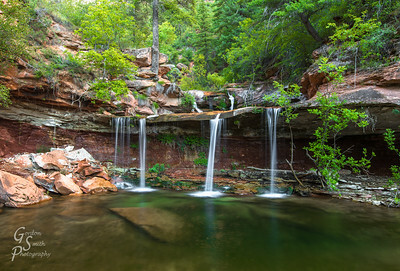 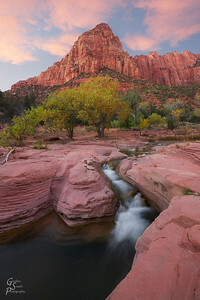 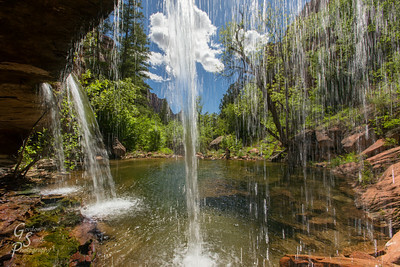 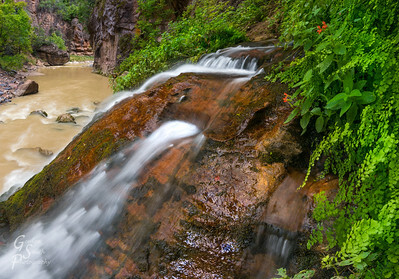 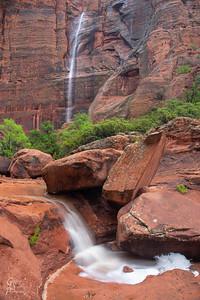 Rocky Waterfall: Clear mountain waters flows over a moss-covered boulder deep within Zion National Park. 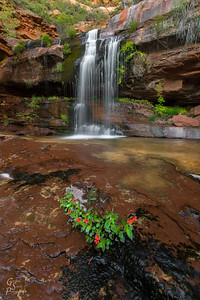 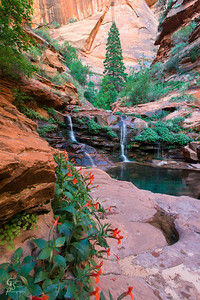 Tiny Red Flowers and Zion Waterfall in the upper reaches of the Right Fork. 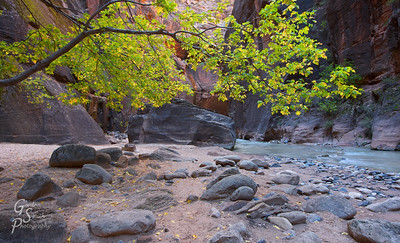 First Fallen Leaves from a yellow cottonwood tree in the Narrows of the Virgin River.